Home Main Video News Human being Encountered Sea Monster. Human being Encountered Sea Monster. Epic Wildlife: I think I saw one of these last night in an aquarium at a Japanese restaurant... I don't think that's possible though. Casey Coleman : Was it on the menu? lol. I always thought the Moray Eel had a sorta human lookin' like face. Maybe you could do a clip on them too as they are pretty epic looking.Jack Griffin: Why do people hate this guy so much? I don't see anything wrong with him. You guys jealous or something? 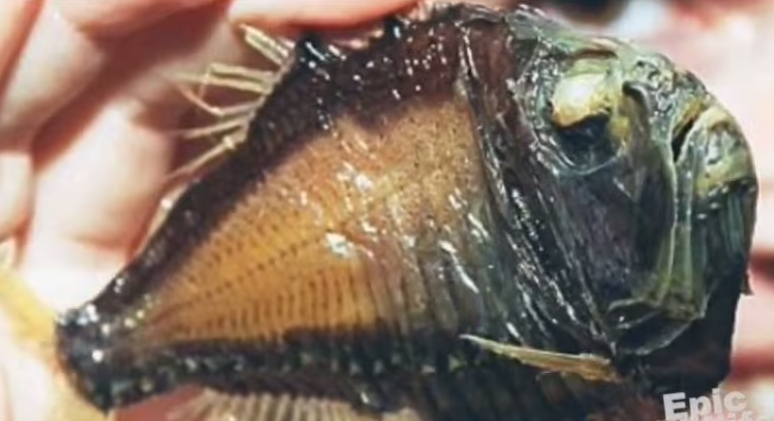 MrGeorgeknows naruto: this fish is creepy but not as scary as the angler fish that thing gives me nightmares all you see is a fish with bug eyes like this fish but with sharp teeth like hows that not scary plus they have a light on their head to lure they'er prey and eat them hole im shocked they'er not called the nightmare fish. Julian song : The Scariest Creatures I have seen so far are Butterflies, my god, they're so scary.